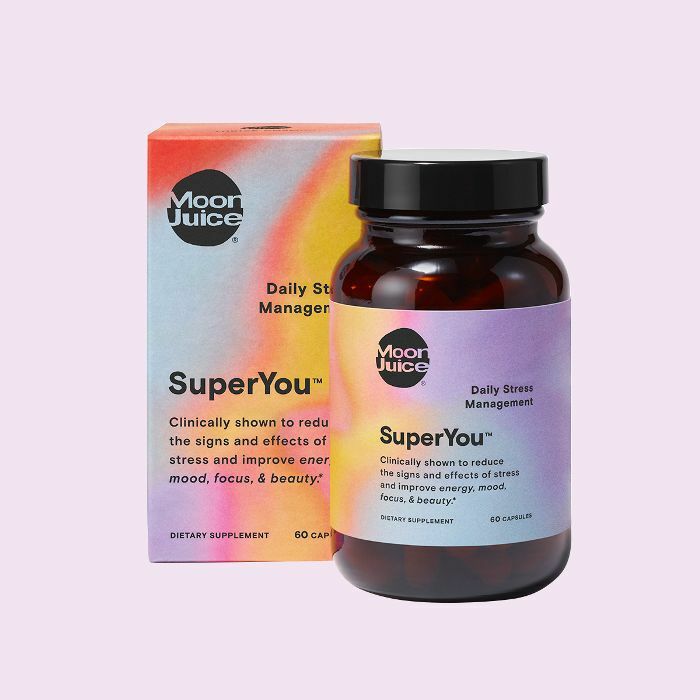 Thus far, is widely known—and unequivocally loved—for its accessible yet apothecary-esque collection of adaptogenic dusts, herbs, snacks, protein powders, and, if you're lucky enough to be a Los Angeles local, mood-boosting sips courtesy of the brand's deliciously formulated juices, milks, and smoothies. And although the brand may have started off on the more niche side of the consumer spectrum, it's rapidly spread its wings toward mass consumerism and is currently available via sought-after destinations like Sephora, CAP Beauty, Nordstrom, and the like. Thanks to a very exciting email which shared a very exciting secret, I was informed last week that on May 1, Moon Juice would be launching its first-ever mix of in capsule form. (ICYMI, the brand has pretty much turned "dusted" into a legitimate verb of the English lexicon.) 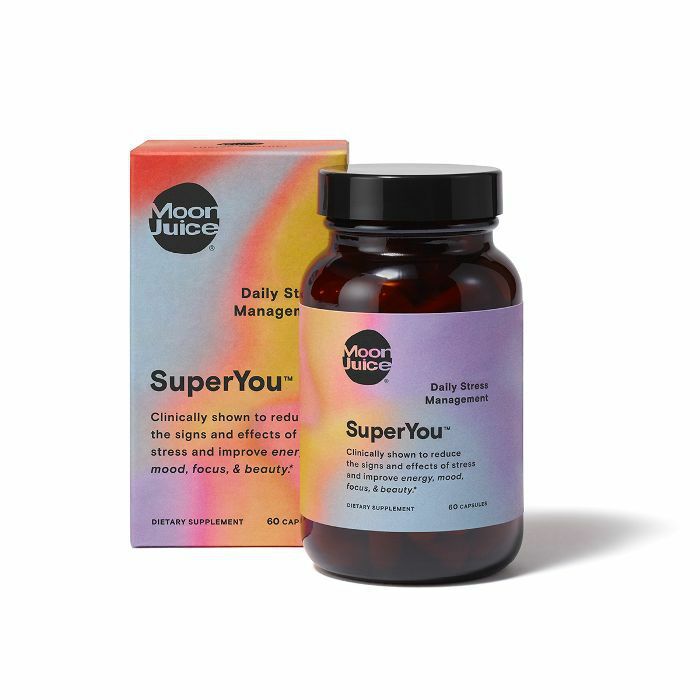 Enter Moon Juice's SuperYou Supplement, an exciting, brand-new launch which addresses daily stress head-on. The formula boasts a powerful once-daily hit of adaptogenic relief thanks to strategic superherbs like (helps de-stress the skin and maintains collagen), (fights fatigue and stimulates alertness), (reduces irritability and increases our resilience to stress), and (encourages healthy hormones and reproduction.) Essentially, the launch is taking the brand's signature collection of powders and dusts (which can get messy quickly) and transforming the same benefits into a super-sleek supplement backed, the brand says, by "hard-hitting research and cutting-edge science." All you have to do? That being said, since I've dealt with and for years (and have seen countless professionals who specialize in alternative medicine), I'd coincidentally already had all of the above herbs recommend to me. And since the allure of beautiful skin and a blissful, worry-free state of being doesn't escape me, I gladly downed two pills immediately. And repeated the ritual for the rest of the week.